There’s a tension between delivering on time and delivering the right thing. In fact, the rush for on-time delivery can result in the wrong thing—an unusable product. There are ways to prevent this. Valuable software is usable software, among other things. But data about what’s usable comes from testing, and much of that testing can’t take place until after the development—done in Agile stories—is completed and signed off. 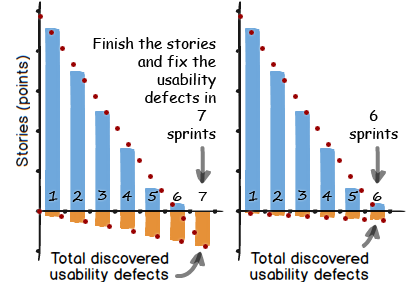 Development teams—consisting of analysts, developers, testers, usability researchers, and interface designers—consider an Agile story to be completed despite the lack of feedback from the intended customers about its usability (and other measures of value). It’s possible to balance the tension between building the right product and delivering a product on time. Here are some ideas—some of which might seem radical. Test the usability before developers write any code. 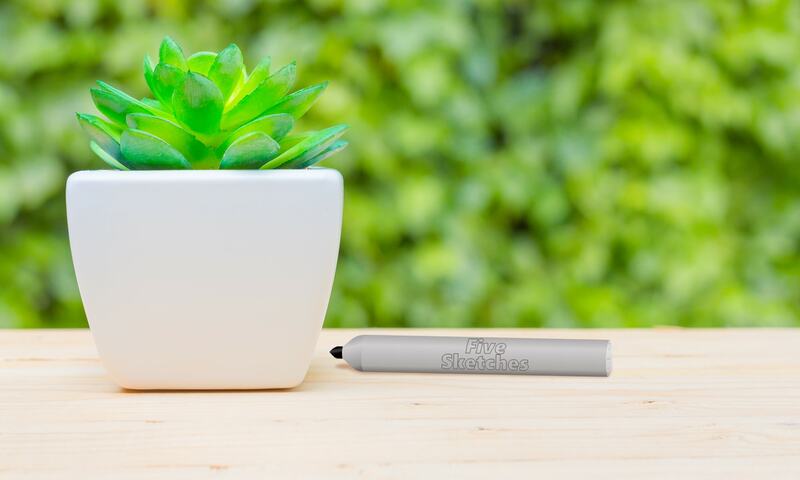 While testing the finished product helps assess its usability and hence its value, it’s also possible to test beforehand, using paper prototypes or interactive mock-ups or prototypes. Allow Agile stories that deliver a quick, “working” prototype, and see prototypes as equal to a “working” piece of code. This enables formative testing on paper prototypes or interactive prototypes before developers write code. The Agile principle that demands working software from every iteration allows some wiggle room: “Working software is the primary measure of progress” but not the only measure. This means the team members—all team members on an Agile team, including developers, QA, UI designers, and UX researchers—can focus on design, prototyping, and validation together instead of making a designer or usability work one sprint ahead or one sprint behind the rest of the team. Put substantial usability deliverables in their own stories, rather than in the acceptance criteria of stories that build functions. Especially when you need work done that substantially shapes the user experience but that is not related to a specific feature, regard this user-experience work just as you regard database-, architectural-, or other foundational work. Include small usability work in an Agile story now, if it will reduce future usability defects. Sometimes the Agile principle of simplicity—which pushes us to maximize the amount of work not done in any given story—must be balanced with the Agile principle of technical excellence—which posits that good design enhances agility. In other words, deliver something a little less simple for individual stories that, collectively, will avoid an additional story to clean up a predictable usability deficiency. If management likes waterfall release planning, add placeholder stories for usability fixes. If you’re not fully Agile, don’t set yourself up to drop usability fixes that were unknown at the start of the release cycle. At the start of the project, pad the backlog to allow for unknown but expected usability-defect fixes. That way, usability won’t be seen to cause delays to the release date. Embed usability the story-review and sign-off processes. Before work on a story can start, it is usually reviewed in a ten-minute discussion by a small group that represents the team’s skillsets: a developer or perhaps a dev-ops, a quality assurance practitioner, a business analyst, and perhaps a content strategist. Include the usability analyst in that meeting, to point out usability standards and to offer design alternatives for consideration. Similarly, when it’s time to agree that the story is finished, include a usability analyst to identify any no-go usability problems, as well as any potential problems to test sooner with users. Look for systemic problems, especially if the team generates many usability defects. Remember the last principle in the Agile Manifesto: “At regular intervals, the team reflects on how to become more effective, then tunes and adjusts its behaviour accordingly.” Your team may need to modify its process. Short sprints. Deliver working software frequently [in short sprints that last] … a couple of weeks …. Working software. The primary measure of progress is working software. Let’s look at each of these principles in more detail. Expect change. Welcome changing requirements, even in later sprints or iterations. 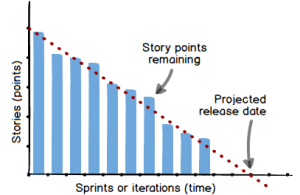 Agile processes harness change for the customer’s competitive advantage. 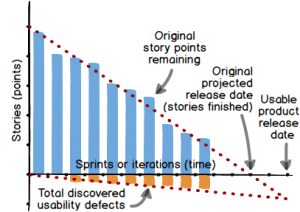 For management, re-opening a previously completed Agile story in response to a usability defect makes its projections uncertain. Fortunately, it’s possible to adapt the reporting tools to allow for defects and feedback. The modified burn-down chart, above, shows one approach. The Agile Manifesto declares that working software is the primary measure of progress, but it’s not the only measure. Another measure of progress is feedback—such as usability research that provides quantitative performance data and qualitative observations and ratings of customer experience. Summative testing of an as-built feature occurs after developers write the code for the feature. This testing results in the usability defects shown in orange, on the above burn-down chart. Formative testing of an unbuilt feature occurs before developers write code the feature. This testing is often done with prototypes, especially when the team wants to test an interaction design, a workflow, or even the mental model. Developers may need to help build a testable, working prototype. “Working software” is an interesting concept. Is it “working” if you can push the buttons, but the wrong answer results? Is it “working” if you can get the right answer, but many users can’t figure out how to get there? What you are describing suggests that design and usability, and testing for that matter, aren’t really thought of as intrinsic to the product.